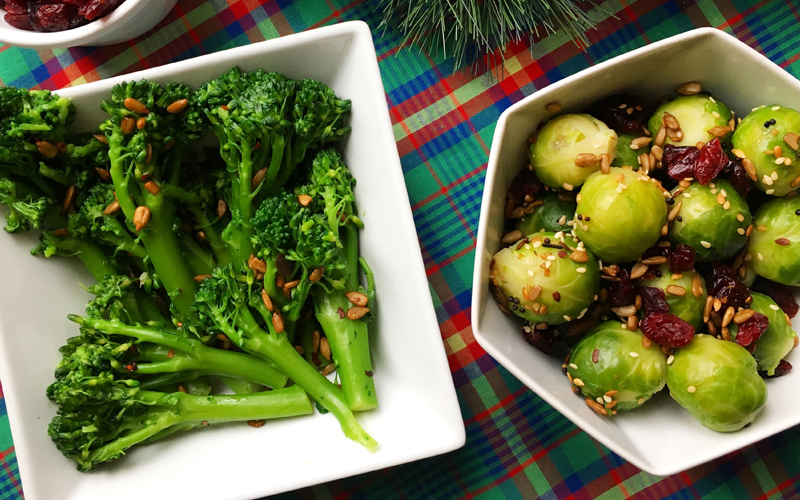 Home Blog A flexitarian family Christmas! 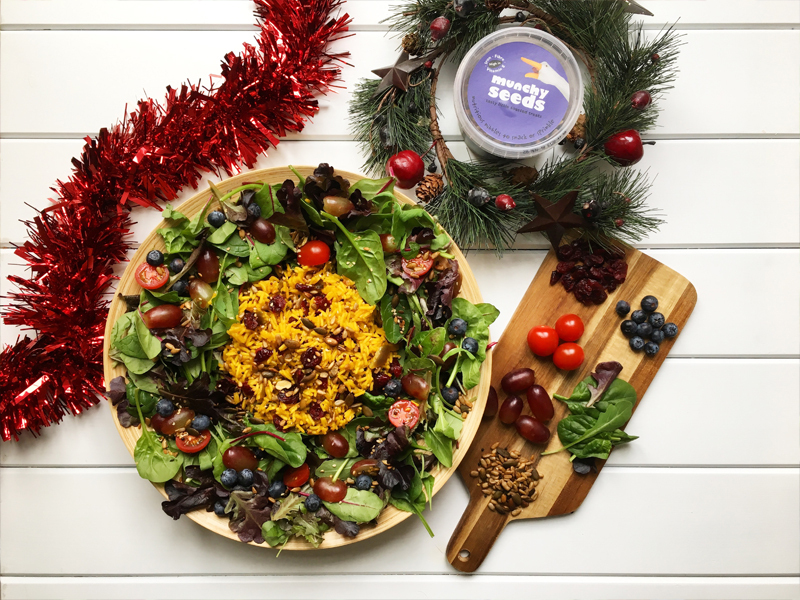 Christmas is such a special time of year and vegans shouldn’t miss out on the Christmas feast; find out more from our guest blogger Jane and her favourite vegan recipes for over the festive period. For many, the words ‘there’s a vegan coming to dinner’ is enough to send to send them into a tail spin! Then change the sentence to ‘there’s a vegan coming for Christmas dinner’ and you can imagine the response! In our family we have meat-eaters, a vegan, a pescatarian and our son’s vegetarian girlfriend all regularly at the table and what I’ve discovered is that there are actually plenty of delicious recipes and snacks that can be adapted for everyone. The classic response, that when entertaining a vegan it needs to be a nut roast, is very out-dated. I’m not saying there’s anything wrong with nut roast, but there are so many other dishes that are either naturally vegan or can easily made to be so. Curries, Moroccan tagines, risottos, a lentil shepherds pie, a lentil lasagne and soups are some of my regular ‘go-to’s’. My particular favourite is a delicious orange and cranberry pilau rice topped with nuts or seeds, which can be served with falafels, king prawns, or tandoori chicken skewers depending on who’s at the table. Another family favourite is a balsamic, red onion and mushroom pasta with cherry tomatoes, peas and some fresh basil; we then cook up some sausages (both vegan and meat) to be added at the table along with some grated parmesan (again there is a vegan alternative to this). Serve this with some crusty bread and a fresh green salad topped with a handful of Munchy Seeds and you’ve got a very quick and easy nutritious meal that suits everyone. There are so many more ‘vegan’ products available now and dairy-free alternatives for margarine, yoghurts, milks and cheeses, which makes adapting recipes so much easier. And there are even some surprising ‘vegan-friendly’ products, like branded meat gravy granules and bourbon biscuits! But how to make Christmas Day special and delicious for everyone? There are a few really simple swaps that make it super easy such as cooking roast potatoes and parsnips in olive oil (rather than fat) with crushed sea salt and some herbs. 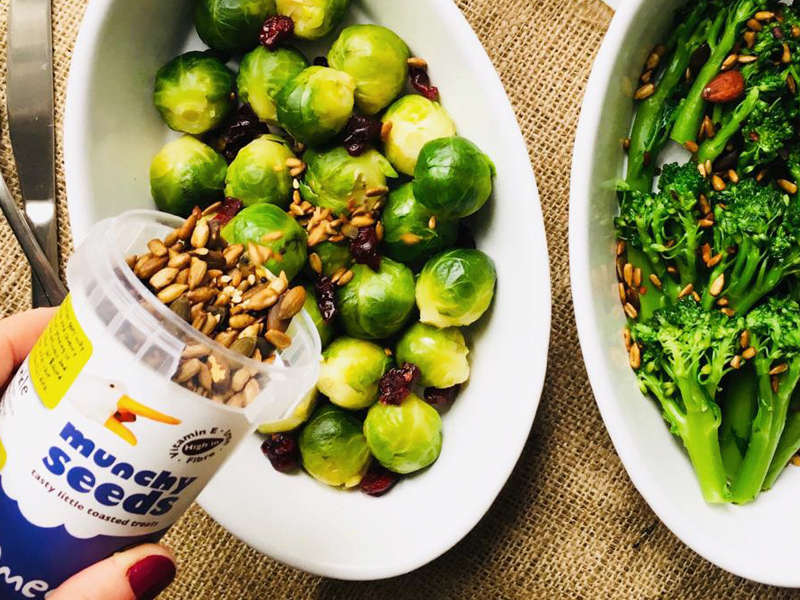 And how about brussel sprouts, tenderstem broccoli or roasted whole carrots sprinkled with Munchy Seeds Chilli Bites as an alternative to using pancetta. And a yummy alternative to the turkey could be a pastry-encased Christmas wreath filled with spinach, tofu, dried fruit, and seeds which could be made in advance. And any left overs would be perfect for the whole family served with Boxing Day mash! And what about those all-important sweet treats we so love at Christmas? 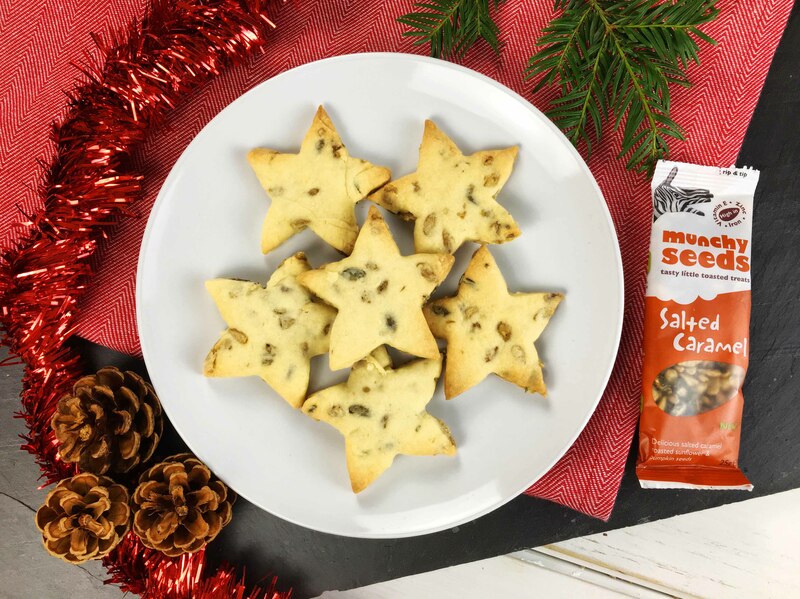 Choccy gingerbread men and Christmas shaped biscuits are really simple, delicious and fun to make – just include some Salted Caramel seeds or Choccy Ginger seeds in the mix before baking to make them extra yummy; both are gluten free and suitable for vegetarians. It’s also very easy to make dairy-free mince pies or chocolate bark topped with dried fruit and seeds – again very simple as most dark chocolate is dairy-free and suitable for a vegan diet (but just check the label). Wrap them in cellophane, and they make a great gift! 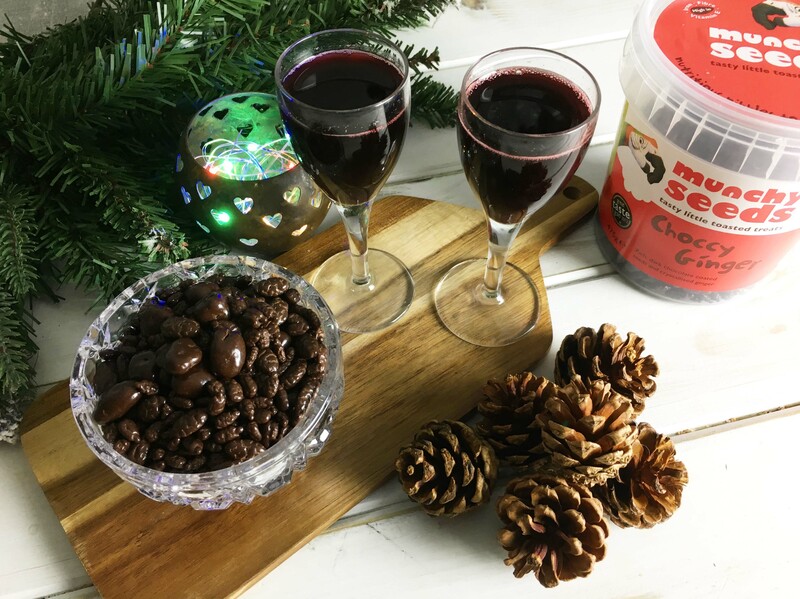 And when the night draws in, the kids are in bed and the adults are enjoying a glass of something lovely – a handful of Choccy Ginger Munchy Seeds makes a delicious accompaniment to a glass of port or dessert wine! 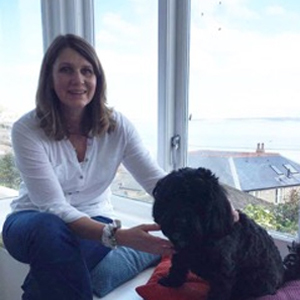 The reaction from my friends on our family’s diverse dietary needs is generally fairly negative in that it must be a real pain – but actually I’ve really enjoyed rising to the challenge of thinking creatively on how to make a meal work well for everyone. We still have some of our old favourites, but introducing new recipes to our everyday meals has benefited us all. My challenge this year is to make a vegan chocolate log which I know will delight my daughter, so fingers crossed I can add that to next Christmas’ suggestions!